Whether you’re looking to beef up your retirement game or find a place to rollover a 401(k) from an old employer, an IRA can be a great tool to use. Most people choose either a traditional IRA or a Roth IRA, both of which come with distinct tax benefits. There are other types available, particularly if you’re self-employed, but for most people, these two are ideal options. A traditional IRA, for example, lets you defer paying taxes on your contributions until you actually start making withdrawals. With a Roth IRA, you pay taxes the year you make your contribution. When it comes time to withdraw funds, you don’t pay taxes on anything. Once you do your research and determine what kind of IRA you want (and check that you qualify for one), you need to find a company where you can open your account. There are countless options available and you could probably even go with the bank where you keep your checking and savings accounts. But don’t just jump on the first IRA company you find. Fees, account minimums, and available investment vehicles can vary widely. It’s smart to compare several options to make sure you’re getting everything you need out of your IRA company. Want to take a shortcut in your research? Check out our top six picks for 2019’s best IRA accounts. We’ll tell you the most important facts about each one so you can quickly and easily make a decision for your own funds. Ally Invest is a great option if you’re just starting to build out your IRA rather than rolling over existing funds. It’s also directed to individuals who want to manage their own investments. There’s no account minimum to get started and you can choose from multiple types, including Roth, traditional, rollover, SIMPLE, and SEP IRAs. Account fees are fairly limited as well. You don’t have to pay anything to set up the account, so pair that with no minimum account opening and it’s easy for anyone to get started saving. Ally also doesn’t charge an annual fee or an inactivity fee. So what fees can you expect? There’s a $50 fee if you decide to terminate your IRA account with Ally. If you transfer your funds, you’ll have to pay an additional $50 as a transfer fee — plus the first $50 termination fee. There’s also a $50 conversion fee which you’ll pay if you want to change your IRA from a traditional to Roth, or the other way around. If you’re an active trader even with your IRA, then you’ll appreciate Ally’s low trading fees. Stocks and ETFs are $4.95 per trade, but you can get that lowered to $3.95 if you trade at least 30 times each quarter or have a balance of $100,000 or more. Options fees start off at $4.95 each plus $0.65 per contract, and that price also lowers with heavy quarterly trading activity. If you don’t want the burden of actively trading your IRA portfolio, then look elsewhere to place your account. But if you like handling your investments on a regular basis, then Ally could be a strong contender for your IRA account. Yet another firm with no account minimum for your IRA, TD Ameritrade often provides promotions for opening various accounts. For example, a recent offer gives customers up to $600 when rolling over a 401(k) into an IRA or opening a new IRA. Who doesn’t love free money? 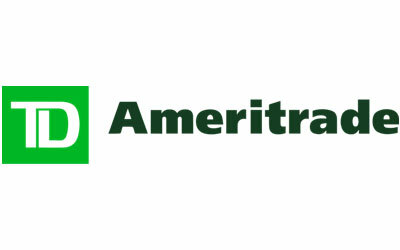 TD Ameritrade also provides a wealth of useful planning tools and research. If you’re unsure of what type of IRA you should open, you can actually go step by step through their IRA Selection Tool. You’ll find out what you’re eligible for by answering a few quick questions. You can also speak to a retirement counselor if you still have questions. Once your IRA is selected and funded, you have access to more than 100 fee-free ETFs. Stocks cost the standard $6.95 per trade (but with no discount for frequent trading) and options are $6.95 plus $0.75 per contract. There are also about 4,000 mutual funds you can choose from with no fees for trading. Another feature making TD Ameritrade extremely popular for IRAs and other investment accounts is their mobile trading. There are actually three different online trading platforms that cater to your needs, whether you’re a beginner or a serious trader. And no matter what your skill level, you have access to countless free resources through TD Ameritrade. If you want control over your IRA then check this one out. 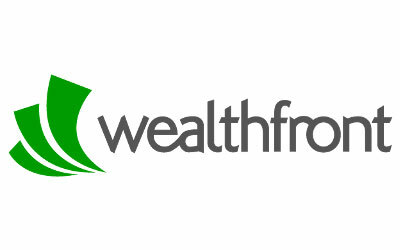 Similar to Betterment, Wealthfront is a robo advisor that’s growing quickly. Your first $10,000 are managed for free and after that, you’re charged an annual flat fee of 0.25% — regardless of how much you have in your account. You do have to open your IRA with at least $500. The more you refer friends to Wealthfront, the more you access in free services, like getting an additional $5,000 managed for free. You can choose from a few different IRA types, including traditional, Roth, SEP, and rollovers. The answer is in retirement analytics. The company’s retirement planning tool, Path, lets you integrate your various accounts across financial institutions so you can see an accurate and comprehensive picture of your overall retirement savings. Wealthfront economists use projects for things like inflation and social security to help plan for a realistic future. Considering a major life event or financial change? Wealthfront’s Path program lets you see potential impacts on these types of scenarios so you’re not surprised at how your retirement savings are affected. Plus, like other online robo advisors, all Wealthfront investments provide tax loss harvesting and portfolio rebalancing. You don’t have to worry about tracking individual stocks and funds. Instead, you get to invest passively while Wealthfront’s analytics keeps track of your portfolio. With IRA options and other tools at your disposal, Wealthfront is a solid choice for hands-off retirement investing. 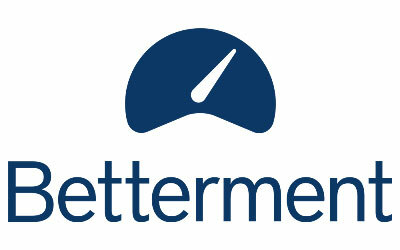 Betterment works to automate and simplify the investment process and offers traditional, Roth, rollover, and SEP IRAs. This robo-advisor makes managing your IRA extremely hands off while helping you save money on excessive fees. What’s the pricing structure like? You have two levels of service to choose from. The first is the Digital level, which comes with a 0.25% annual fee and no minimum balance. So if your first year’s balance is $5,000 you’ll pay $12.50 as your fee. Because Betterment is a robo-advisor, it offers automatic rebalancing so that you’re always hitting your target allocations, even with a shifting market. Their portfolios are globally diversified and you can adjust your risk tolerance based on your own preferences. Plus, Betterment implements automatic tax-loss harvesting to boost your after-tax returns. Need to talk to a financial advisor? No problem, you can chat online with a licensed expert with no limit on the amount of questions you ask. If you want even more advice and support, you can upgrade to the Premium level. The annual fee jumps to 0.40% and you’ll need at least $100,000 to start your account. But you get holistic advice on all of your financial questions, not just those related to your Betterment investments. So in addition to chatting about retirement, you can also talk to your advisor about joint financial goals with your spouse, college savings plans for your children, and new and existing investments with other firms. If you’re interested in a “set it and forget it” mentality for your IRA, Betterment certainly provides that option. 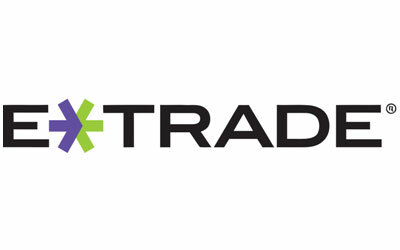 E*TRADE offers a ton of financial products, and their IRA offerings are straightforward with low fees. There’s a great balance of getting access to in-depth research and resources, while also having the option to let E*TRADE take on your account management. You can choose from a traditional IRA, Roth IRA, rollover IRA, or one-stop rollover IRA. That last one lets you transfer existing IRA funds in a diversified ETF that is managed by professionals. This adaptive portfolio takes advantage of automation processes. It requires at least $5,000 to get started and comes with an annual advisory fee of 0.30%. If you’re an avid ETF trader, you can trade for free on more than 100 funds; otherwise, you’ll pay $6.95. Like Ally, that number drops if you make 30 or more quarterly trades, costing just $4.95 per trade at that point. Stock trades also cost $6.95 each, with the same discount available as ETFs. Fees vary on mutual funds, but E*TRADE offers more than 4,400 that have no transaction fees. If you’re happy working with certain restrictions on the funds you choose, you can get away with a lot of fee-free trading via E*TRADE. Plus, you don’t have to worry about a minimum opening balance for most accounts, so it’s easy to get started. The company has been around for decades and consistently get strong ratings from external sources, so they have a strong reputation in the industry, which can be comforting for beginning investors. Scottrade has a broad range of IRAs so it’s ideal if you’re looking for an account beyond a traditional, Roth, or rollover. In addition to those, Scottrade offers SEP and SIMPLE IRAs for business owners and self-employed individuals. So where does Scottrade stand out from the competition? Most people would say with its customer service. 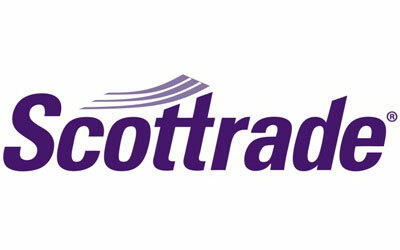 The company actually has a strong reputation throughout the industry so if you need a lot of support and enjoy asking questions to a real person on the phone, Scottrade is an excellent choice. If you’re a mutual fund lover you’ll find more than 3,100 selections with no transaction fees. Stocks and ETFs cost $6.95 per trade when you complete them online, otherwise, it’s a whopping $32 when broker-assisted or done over the Touchtone phone system. Still, it’s nice to have the option of broker assistance if you want it. Options also cost $6.95 per trade, plus $0.70 per contract. Those fees are a bit on the high side, particularly if you’re a high-volume trader. But again, if you know what you like and those happen to be mutual funds, then you have a lot of options with Scottrade. Where does Scottrade fall short? Scottrade’s online experience isn’t as user-friendly as some of the competition and you won’t find as much research as you would with some other companies. But if you prefer a traditional broker that’s mutual fund-friendly, Scottrade is definitely worth considering. When it comes down to picking your IRA account, the two of the most important factors are cost and your preferred management style. The two generally go hand in hand. If you want a DIY IRA that lets you do your own trades, you’ve got to compare financial advisors that offer the free trades you like, or lower cost trade fees based on how much activity you expect. Prefer a hands-off style? Think about how much money you’re likely to invest in the near term and pick an IRA account that lets you go on autopilot while charging a flat annual fee. 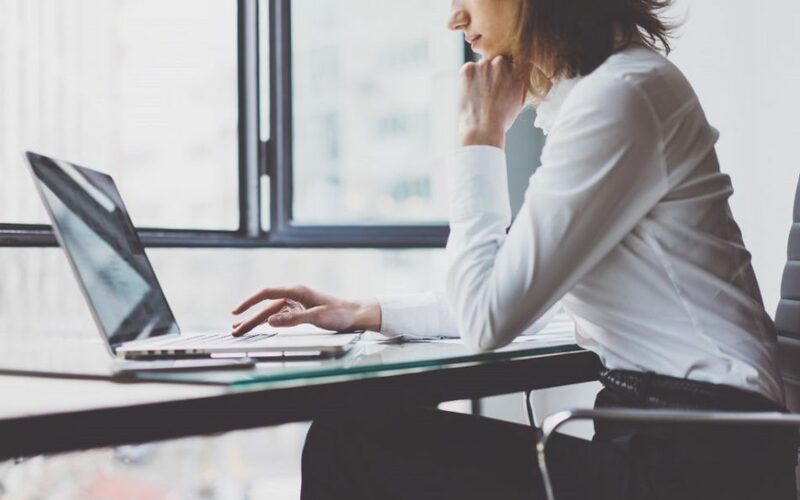 For these types of accounts, you’ll definitely want to dig in deeper as to how the advisors’ portfolios are chosen and whether or not their investment styles jive with your own. Having any type of IRA can help you prepare for retirement. While you can always transfer or rollover your funds into another IRA, choosing the best account in the first place can help prevent unnecessary fees. And once you’re ready to retire, you’ll have a healthy nest egg helping you to finance your daily expenses.